"Chiara D’Agostino’s life journey is not a usual cancer-surviving story. For an aspiring fashion model and traveler, the news of her medical condition was supposed to put a full stop to her dreams...."
You Run Like a Girl - a series of portraits and interviews that showcase women's stories in hopes of empowering, influencing and connecting women around the world. 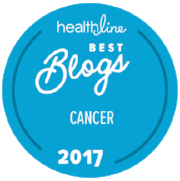 Chiara D’Agostino shares her story about clinical trials and ACA, "I was diagnosed with stage 3 triple negative breast cancer in October 2014. 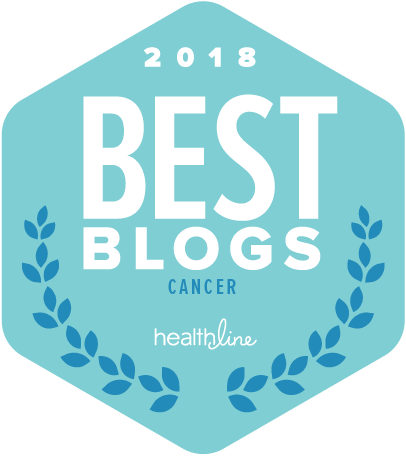 Two years later to the day I started treatment for triple negative metastatic breast cancer...."
Metastatic breast cancer survivor and patient advocate Chiara D’Agostino of Montclair, New Jersey, credited the ACA with saving her life. D’Agostino said she was approved for ACA coverage in September 2014. In October 2014, she felt a lump in her breast that led to a stage III and eventually stage IV breast cancer diagnosis. Chiara D’Agostino had a feeling she would benefit from the Affordable Care Act (ACA). A former Italian teacher, she had given up her full-time job to pursue a graduate degree. Hours before Sephora opens its doors to the public, the beauty emporium is already bustling. Inside, “cast members” (Sephora-speak for sales associates) are mingling with nearly a dozen women whose skin care and makeup concerns run much deeper than demystifying the secrets to con-and-nontouring. These participants are among the first to attend Sephora’s brand new Brave Beauty in the Face of Cancer class, which launches nationwide this week. This unique endeavor is met with a rousing — and emotional — response from its participants, among them, 45-year-old New Jersey native Chiara, who was diagnosed with cancer in 2014. When Montclair resident Chiara D’Agostino sat down for her first appointment in Dr. Jan Huston’s office at then-Mountainside Hospital in October 2014, she expected the usual doctor in the white lab coat to walk in. Instead, in came Huston, wearing a “cute leather jacket,” D’Agostino recalled. THE HUFFINGTON POST: THE ACA REPEAL: AT WHAT COST? Secretary Sylvia Burwell, center, sits with U.S. Sen. Cory Booker, left, D-N.J., and Chiara D'Agostino, East Newark, N.J., during a visit to Tops Diner to talk about the Affordable Care Act, Wednesday, Dec. 14, 2016, in East Newark, N.J.
For cancer patient Chiara D’Agostino — who signed up just a couple months before her diagnosis in fall of 2014 — Obamacare is something she literally can’t live without. This is a story that illustrates why we need to #SaveACA, from SHARE volunteer and participant Chiara D'Agostino: #coveragematters. Secretary of Health and Human Services Sylvia Burwell poses with Chiara D'Agostino, cancer survivor and fashion blogger, before her luncheon address, January 9, 2017, at the National Press Club. Chiara D'Agostino, of Montclair, came to the meeting even though she had another round of breast cancer surgery last week. The former Italian teacher from Montclair told Burwell she signed up for Medicaid in 2014, and was diagnosed with the disease a few months later. Vanguard launched their new campaign with me as their Vanguard girl, "You Don't Have To Be Trendy To Be A Trendsetter."